If you are familiar with Chuck’s work, you know that it is very bizarre and out of the ordinary. If you are not familiar, well – he is the author of Fight Club. 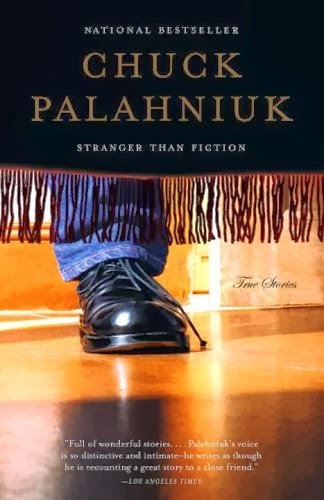 Stranger Than Fiction is his collection of non-fiction essays. Most of them are about other people, but there is a section at the end that is all about his experiences. Throughout the book, he gives clues as to what influenced some of his novels. He gets his inspiration from talking to people and hearing their stories. It is interesting to see what exactly influenced books that I have read. That being said, some of the stories seemed a bit longer than they needed to be and they got a little slow at times. There were also some very interesting ones. The ones that entertained me the most came from his own experiences and also the story about him talking to Marilyn Manson. 3/5 stars. It was interesting, but it did get a little slow at times. I guess every story isn’t for everyone.